There are plenty of articles online sharing how to drop your kids off to school ‘in style’ and what to wear at the school gate. 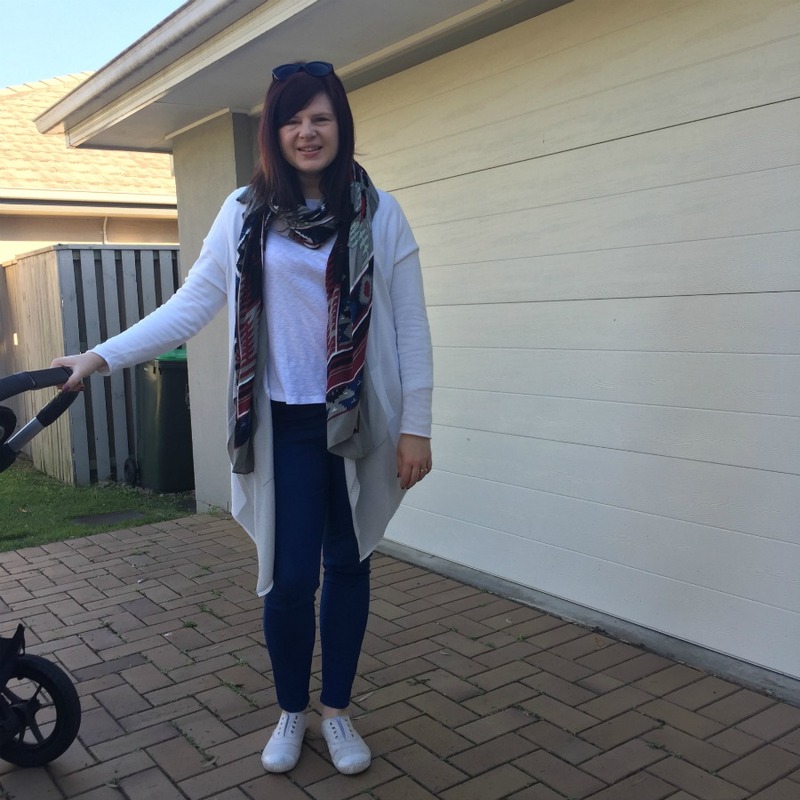 A lot of these articles play on the hype that mums judge other mums on what they wear. For me personally, I haven’t experienced judgement on what I wear when I drop my kids to school. Nor have I had to time to think about what another person is wearing when dropping off their kids. Often it will be a shared look of relief that we got our munchkins to school on time and now we’re on our way to the next responsibility for the day. However, after walking my kids to school with a baby or toddler in hand or having days where I’ve done an early drop off because I’ve had to get to work, there are pieces that make for good choices in the comfort and convenience department when dropping kids to school. I thought I’d share these with you so you can prepare yourself if you’re a first time school mum this year… or you’ve been a school mum for years and have been caught out like I have and want to get organised. Your outfit will depend on what you’re doing after you drop the kids off. 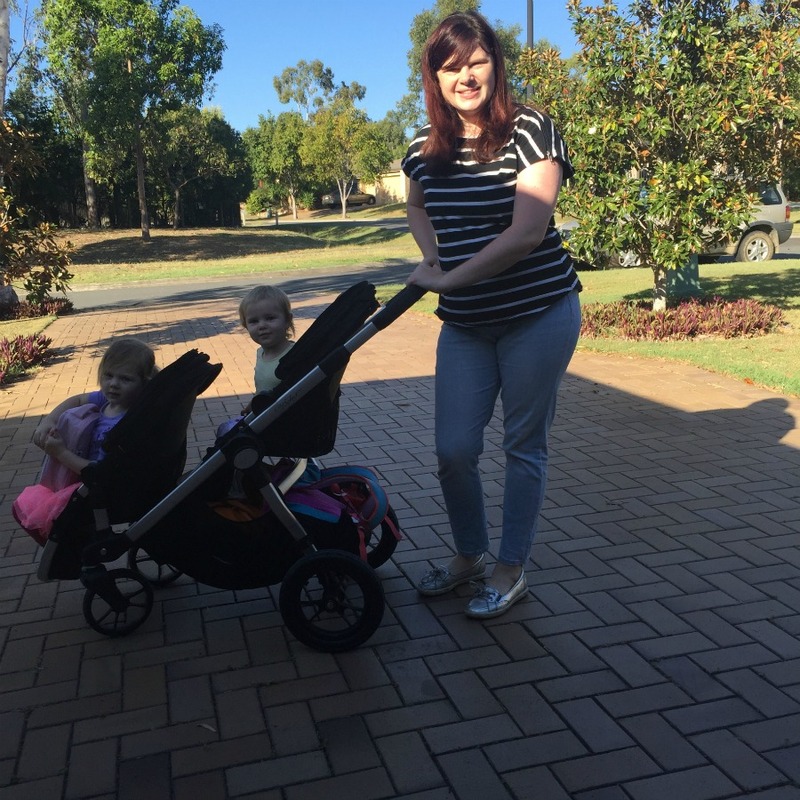 For some mums they are heading straight to work, for others it may be straight to the gym and for countless other mums it could be going home to look after the toddlers and babies until school pick up time. I’m going to focus on the latter as this was my life in the past. This year my youngest will be in Kindy and I work from home. These tips still serve me well. My biggest piece of advice is dress to your day and not the opinions of others. 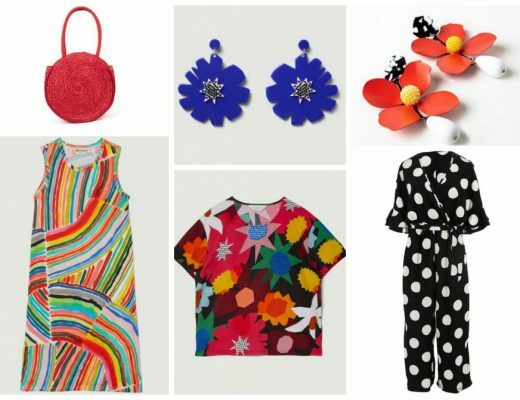 During summer I will wear shorts and tee, a t-shirt dress or a maxi dress. To make school mornings less chaotic, I put the girls’ school uniforms out the night before. I will generally choose my outfit the night before too. If I haven’t thought about it, I will select a dress as it doesn’t need much thought and it’s easy to slip on and get on with the morning. Dress is from City Chic last season. Here is similar on sale for $40. 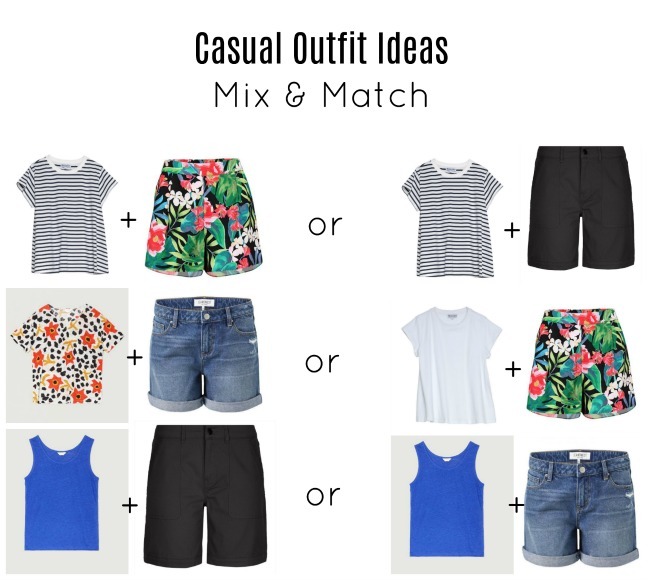 Here are some casual outfit ideas for t-shirts and shorts. The link shows you where each item is from. 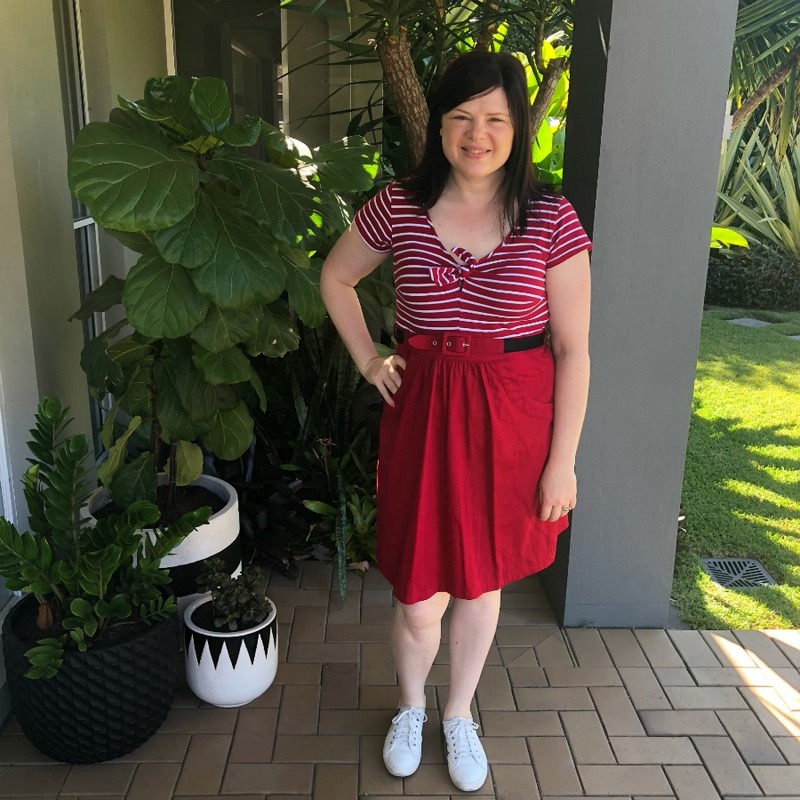 In autumn and winter, I will change the shorts to jeans and add a jacket or cardigan. 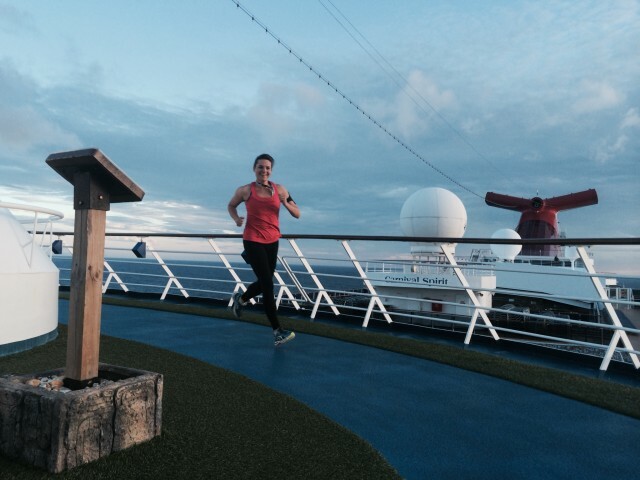 When it comes to footwear – something that is flat or easy to walk in will be beneficial for your feet. If you have a child starting their first year at school, it may be expected for you to drop your child to the classroom and pick them up from the classroom in the afternoon. Depending on where the classroom is located, you may be in for a long walk so flat shoes or easy to walk in shoes are essential. My go-to’s are Frankie 4 Sneakers, Seed Heritage Canvas sneekers (as shown above) and my white Birkenstocks. I will wear the sneakers if walking from home to school to support my feet. If you’re on your way to work and like to wear a heel, swap for a flat shoe when you do the drop off and swap the shoes as soon as you’re in the car. This tip caught me out when I had three kids that I needed to wrangle from the school carpark to the undercover area at school. Rain will always like to present itself during school drop off or school pick up. Even an afternoon storm can take you by surprise. To ensure I have all arms and hands available when picking up my kids, I will wear a hooded raincoat. If your kids are older, a big umbrella can be easier than getting everyone’s individual umbrella out. It also can keep you dry when buckling younger children into the car after school drop off or at pick up time. 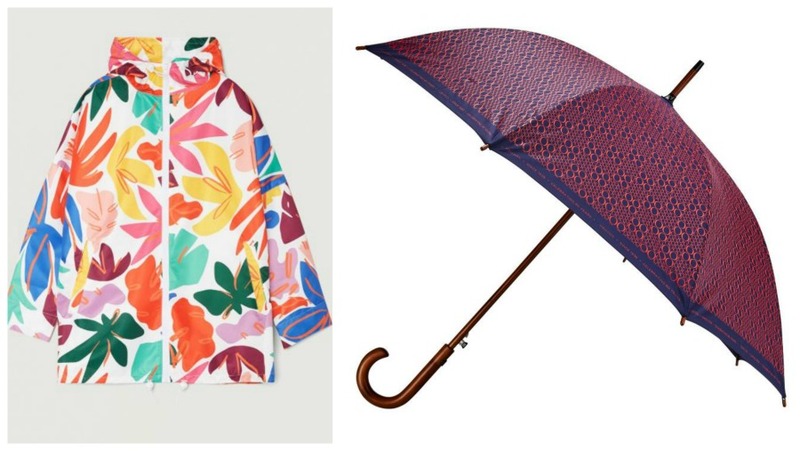 My picks are Gorman for a fun print and I use an Oroton umbrella for fitting myself and three kids underneath. Sunglasses are essential sun protection, but they can also hide tired eyes if you’ve been up most of the night before with younger children. I will always take minimal items with me when dropping the kids to school, as usually I will have my hands full helping carry a laptop or my preppie’s school bag. 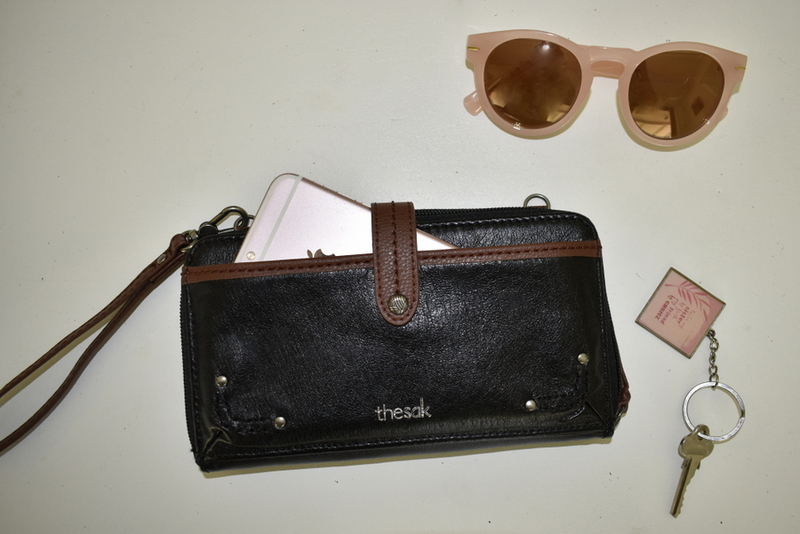 Having a purse that can carry your keys, money and phone (The Sak Wallet Kelly shared about here is perfect. ), which can be worn as a satchel is ideal so you have your essentials with you but your hands free to help your children. A small backpack can also work and double up as a bag to use if you ever go with your kids on a school excursion. Walking to school is a good way to build exercise into your day and avoid the manic of the school car park. This may not always be possible if you live further out from your school. If you do walk, invest in a hat and wear sunscreen. It might be a given but I have a pump pack of sunscreen that I apply on myself and my girls before we walk out the door. Some of these tips may be a given, but the raincoat was definitely a piece I didn’t realise I needed until I got drenched while picking the kids from school. Having the items readily available in the car can make you prepared. Thanks. I’d been debating a raincoat for the walk to school and this just gave me the push I needed to get one! LOVE that raincoat. It really makes a big difference to have a raincoat instead of a brolly. I have a warm coat that is waterproof that I mostly use for a raincoat, but I find it’s so hot in Brisbane. I need something lighter — and I love that the Gorman raincoats are so bright and happy.